no. 7 ■ ^ 31st A'j- z'u ^"t y 13 36. The Hon 1 hie the Political Resident A senior ranking political representative (equivalent to a Consul General) from the diplomatic corps of the Government of India or one of its subordinate provincial governments, in charge of a Political Residency. 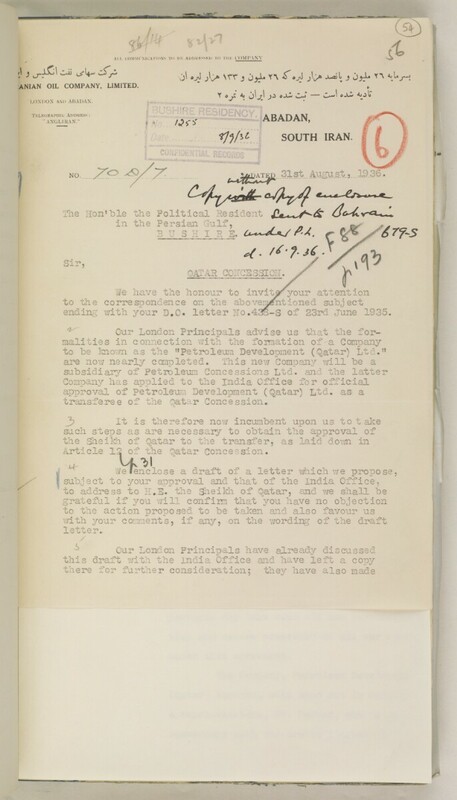 ending with your D.C* letter 110.438-3 of 23rd June 1935.
to be known as the "Petroleum Development (Qatar) Ltd."
Article 12 of the Qatar Concession.